On March 7th, investment professionals, philanthropists, strategists and changemakers came together at the Royal Academy of Arts to discuss how to grow the social entrepreneurship ecosystem. Why social entrepreneurship? It’s a sustainable solution for unemployment, environmental degradation, and poverty. All of us, regardless of our industry, have a role to play. Lord Davies of Abersoch hosted a panel of three key stakeholders involved in boosting jobs and access to funding in underserved communities: Alexandre Messina, Co-Founder of Pedala (a NESsT portfolio company), Bob Annibale, Global Director of Community Development and founder of Inclusive Finance at Citi, and Nicole Etchart, Co-Founder and Co-CEO of NESsT. Throughout the conversation, what became clear was the need for creativity in the finance sector. Creativity, such as banks and financial institutions working with nonprofits to create tailored packages of patient capital for social enterprises. The same tactics and financial modeling, that are used to make any project feasible, from real estate to petroleum, must be applied to social enterprises. The outcomes may be different, but what’s certain is that crafting the right financial package is the key to propeling a greater number of startups into fully-scaling businesses. Businesses that engage low income communities require long-term funding; however, funding for these businesses is lacking around the world. Loans are often expensive and lack flexibility, focus on short-term cash flow and come in the form of equity investments, which many entrepreneurs are reluctant to engage with. Many established lenders will not even consider deals below $500,000 USD, leaving social enterprises with few options, including predatory lenders. In 2018, NESsT decided to become that lender after noticing that entrepreneurs in our incubation program not growing because of a lack of impact capital. We launched our first fund, designed with a flexible structure that can provide long-term loans at reasonable terms to enterprises operating in the poorest communities. The NESsT fund targets investments to 80 enterprises generating employment for 30,000 vulnerable individuals in Brazil, Chile, Colombia, and Peru, with loans averaging $200,000. Among the attendees was Nisaa Jetha, Head of Impact at Alta Semper Capital, a private equity investment manager co-founded by Ronald Lauder (Chairman of Clinique) and Richard Parsons (Chairman of Rockefeller Foundation). She reflects on the event. Alexandre Messina traveled from Rio de Janeiro to share more about how his social enterprise, Pedala, benefits from the patient capital and business mentoring provided by NESsT. In the next year, Pedala will expand from Rio de Janeiro to São Paulo with NESsT providing the working capital to meet demand and with the business mentoring it needs to strengthen its impact measurement. View the rest of Pedala’s photo essay. When social enterprises thrive, people like João thrive too. João, a young man in his early twenties, was eager to start a new life after spending time in prison, but being released with an ankle bracelet made it difficult to secure a job. He faced rejection after rejection. Employers were reluctant to become responsible for his probation paperwork and were concerned about their customers’ discomfort. Pedala hired him after a successful interview. 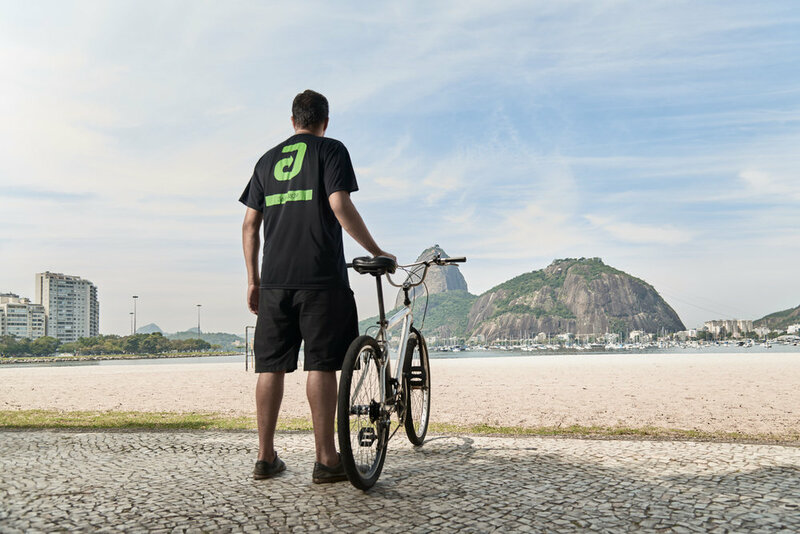 Within a few months, João was completing the highest number of deliveries in the company. With Pedala’s support, he met his probation requirements and overcame his drug addiction. After a year and a half, João had saved enough money to enroll in a local university. Now, João is a full-time student studying business administration. We can reduce the prevalence of poverty once we solve the root causes to unemployment in our communities. So to all of you that joined us that evening, and to those that will join us in the future, we look forward to investing with you to expand the job and income generation opportunities for marginalized communities. Stay in touch, let’s keep the momentum going, and build the ecosystem that enables people to feel valued and justly compensated for their work.